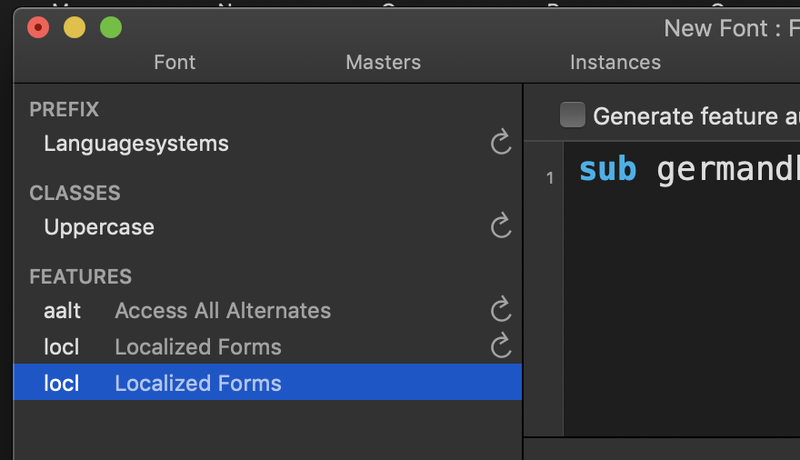 Add feature code without disabilng "generate feature automatic"
You can add another feature with the same name. It will be merged on export. I was add to locl now what will be the new feature or i can add by any name but write the right code?